In 1986, James M. Buchanan was awarded the Alfred Nobel Memorial Prize in Economic Sciences. Universally respected as one of the founders of the “public choice” school of economics, he is the author of numerous books and hundreds of articles in the areas of public finance, public choice, constitutional economics, and economic philosophy. He is best known for such works as The Calculus of Consent, The Limits of Liberty, The Power to Tax, and The Reason of Rules. Buchanan has devoted himself to the study of the contractual and constitutional basis for the theory of economic and political decision making. 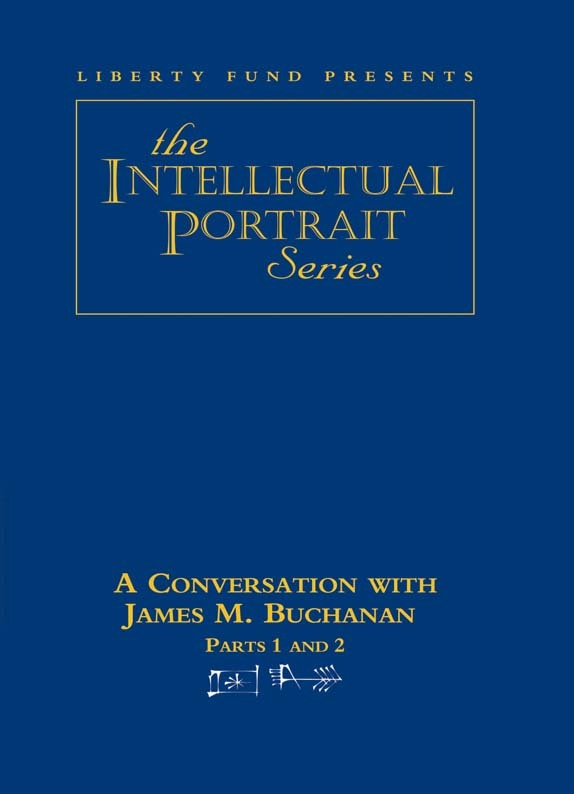 In part one of this conversation, Buchanan discusses the theory of public choice, his exchange theory of economics, and constitutional thought. In part two, the conversation turns to such topics as the work ethic, the logic of free markets, subjectivism, anarchy, federalism, the Nobel Prize in Economics, and Buchanan’s personal experiences and philosophy. Two-Part DVD. © 2001. 120 minutes.